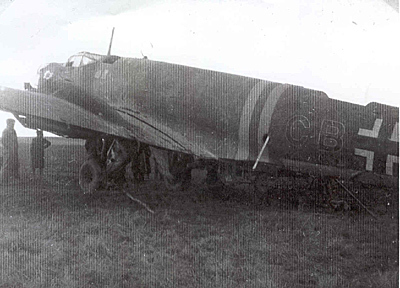 Ju 86E-12 serial number 5052 emergency landed southeast of Holbæk 18/12 1943. 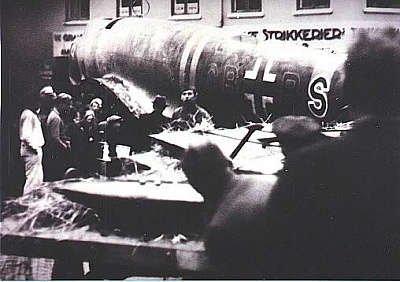 The aircraft belonged to Flugzeug Führer Schule B 34 and was coded CB+BS. The Ju 86 emergency landed just northwest of Fristrup Mølle mill southeast of Holbæk in the evening due to lack of fuel. The Ju 86 was 20% damaged but the crew was unharmed. It was dismantled and transported back to Kastrup. Sources: LBUK, RL 2 III/777.